Description - TOSHIBA Portege R700 15V Laptop Battery:	Using Ctrl + F to search your Models. This TOSHIBA Portege R700 15V laptop battery has passed strict quality assurance procedures to achieve international standards such as CE, UL Listed.Brand new, never refurbished, 100% compatible, No memory effect. If you are not satisfied with our products for any reason, please don't hesitate to contact us, we will reply you within 24 hours. High Quality: All products from our shop are 100% the highest quality! We provide the high quality Laptop Battery e.g: Portege R700 15V for the lowest price with the most satisfacto-ry level of service, The shopping at our shop is easy,benefits,fast and secure. Your Satisfaction: Our goal is 100% customer satisfaction.We stand by the quality of our TOSHIBA Portege R700 15V battery and offer 1 Year Warranty ! 30 Days Money back.TOSHIBA Portege R700 15V battery is best compatible with the original equipments. How to Maintenance your new replacement TOSHIBA Portege R700 15V battery? 1. New TOSHIBA Portege R700 15V battery pack must be fully charged before use. 3.Laptop battery undergo self-discharging when left unused. Always store a TOSHIBA Portege R700 15V battery pack in a fully charged stage for storage. 10. Close unused software in your TOSHIBA Portege R700 15V laptop. 13. 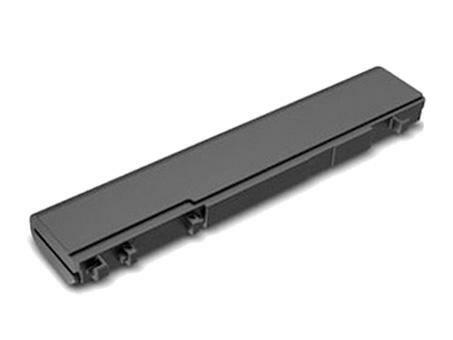 Don´t short circuit terminal or store your TOSHIBA Portege R700 15V laptop battery pack with metal parts. 14. Don´t drop or mutilate the TOSHIBA Portege R700 15V battery pack. www.laptop-battery.co is a leading online PA3832U-1BRS PABAS235 batteries superstore . If you can't find the battery you are searching, or you have some questions about TOSHIBA Portege R700 15V laptop battery, please contact us, we are glad to reply you as soon as possible. Our purpose is to help customer to enjoy a comfortable life by offering high quality laptop battery.